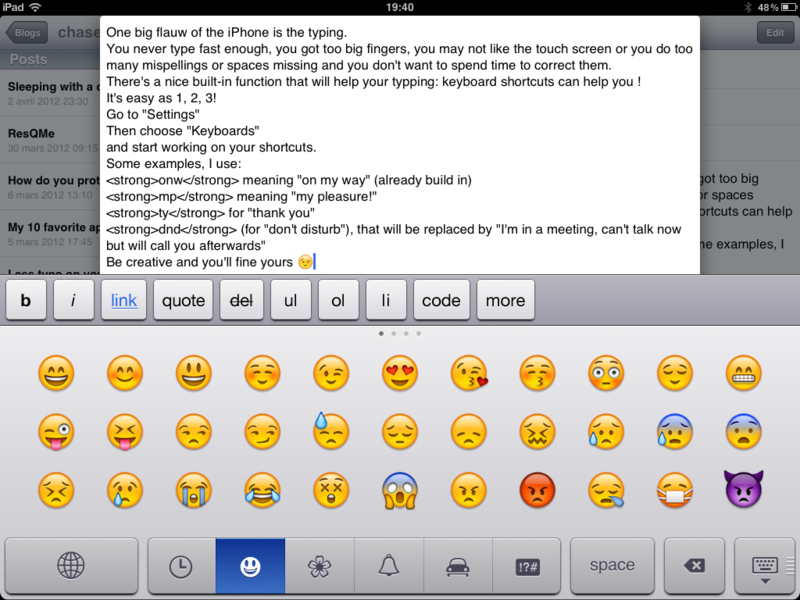 One big flaw of the iPhone is the typing. You never type fast enough, your fingers are too big, you may not like the touch screen or you do too many mispellings or spaces missing and you don’t want to spend time to correct them. 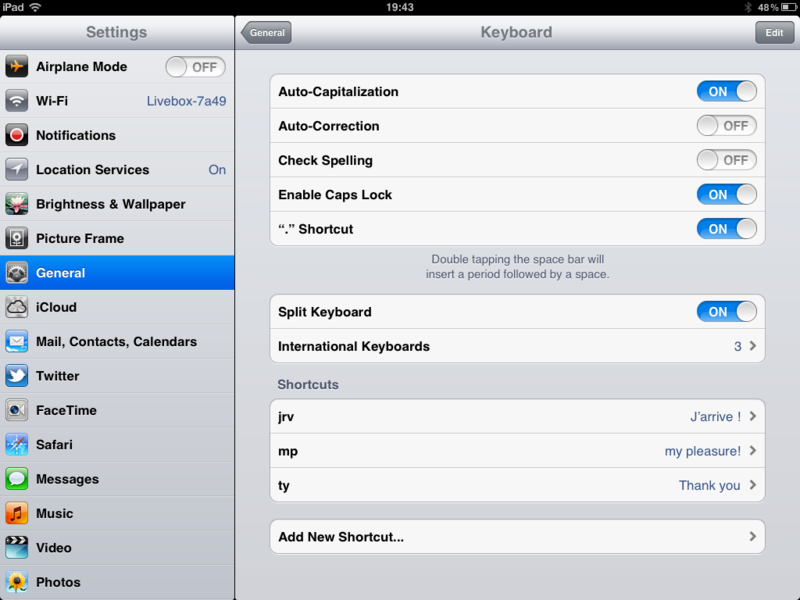 There is a nice built-in function that will help you typping: keyboard shortcuts can help you ! and start working on your shortcuts. Be creative and you will find yours very own shortcuts. 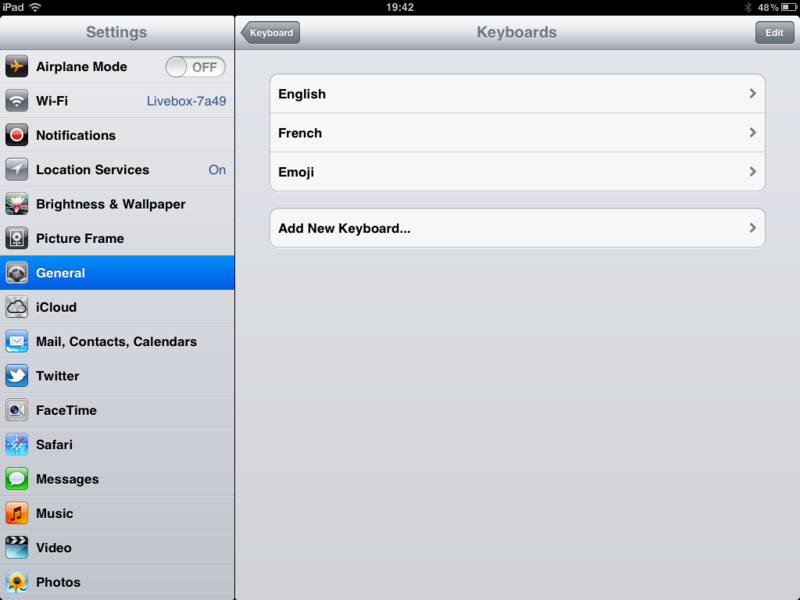 To use your emoticones while typing, just tap the “world-key” left to the spacebar and the Emoji keyboard will pop up.